This compilation begins by discussing Sn, Sb and Ge-based anodes. Various approaches for alleviating volume changes corresponding to each kind of anode are presented in regards to the last 20 years. Sn, Sb and Ge-based alloy-type anodes have attracted considerable research interest as promising candidates for next-generation LIBs due to their high theoretical capacities, suitable operating voltages and natural abundances. Next, the authors discuss the synthesis and application of Titanium dioxide (TiO2) based lithium-ion battery anodes. TiO2 has attracted considerable attention as a promising alternative lithium-ion battery anode. The evolution of studies on synthetic methods, performance improvement, and the size tuning strategy are thoroughly addressed. Following this, the book focuses on clarifying the mechanisms of lithium dendrite growth, the issues related to lithium dendrites, and the recent advances for technical solutions. To power electric vehicles, a minimum energy density of 300 Wh/kg is required. State-of-the-art LIBs are dominating portable electronics, but can only enable an energy density of 100-220 Wh/kg in practice to date. In this regard, metallic lithium is highly regarded as promising next-generation anodes, ascribed to its extremely high theoretical capacity of 3860 mAh/g versus 372 mAh/g of the commercial graphite anodes. Recent progress in the development of Si/Gn nanocomposite anodes for lithium-ion batteries is also studied. The synthetic routes and electrochemical performance of these nanomaterials and the underlying reaction mechanisms are systematically described. 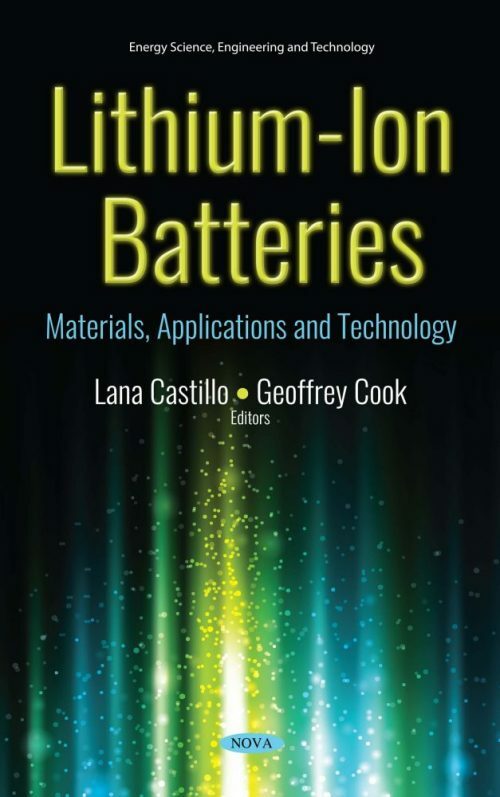 The authors maintain that more research efforts are needed for the widespread applications of such composite anodes in the future of lithium-ion batteries. Afterwards, the advanced ab initio atomistic thermodynamics approach for electrode materials in LIBs is formulated, which enables the resolution of the interfacial structure of an LIB electrode material in an electrochemical environment under (constrained) reaction conditions. This universal approach is outlined, using state-of-the-art electrode materials in LIBs, such as LTO or lithium cobaltite (LCO, LiCoO2) as examples.